I’ve got a bad case of pivot weasels. I don’t know if it matters, but there’s no doubt about it, I’ve got ’em. I irrigate part of the ranch with a couple of center pivot irrigation systems. Those are the things that make big green circles you fly over. At ground level, they are huge machines that drive around the field, watering a hundred acres or more. They require maintenance, and this time of year, I’m busy checking on all the moving parts. The structural part of each section has a steel tube, about eight inches in diameter, with the wheels and drive mechanisms attached. The tubes have plates welded on the ends for strength. The plates have a couple of holes in them, maybe two inches wide, to let moisture out so the thing doesn’t rust. Remember, it’s a sprinkler, so it gets wet. I was checking the oil level in the gearboxes on each drive wheel. That’s about as mundane as it sounds. You have to unscrew an awkwardly-placed plug and stick a screwdriver down in the oil to make sure there is oil there, and that it hasn’t contaminated with water. I was unscrewing one when I felt something brush my arm. I looked, and there was a weasel sticking its head out of the hole in the end of the beam. It stuck its head out the bottom hole, then retreated and popped out of the top one. It was very curious what I was up to. I banged on the pipe with the wrench, and it ran back in, and then was looking at me from the openings on the opposite end. Then a second later it was back at my end taking a look at the oil level. As I worked down the line, checking the gearboxes at all seven towers, I peeked in the holes and saw that they were pretty well packed up with grass nests, little piles of grain and other edibles. The pivot has been fully colonized. I can’t be sure they are all weasels, since I only met the one. For a weasel, living in the coyote-proof safety of a galvanized tube must be like setting up house at the St. Regis. Certainly better than some hole in the ground. I’m not sure if pivot weasels are good or bad. I know that once the system is fired up, if it decides to start chewing on the wiring, it will be very bad for the weasel. I’m not sure how it will react when it goes to bed in one place and wakes up to find that the sprinkler has driven a quarter mile during the night. Maybe that’s part of the appeal –weasels on a cruise. Anyway, the world is full of wonder and beauty if you just keep your eyes open. A number of people are torqued off about Vail wanting to trademark the name "Park City" for use in their business. It’s not terribly unusual when you think about it. We all refer to the resort as "Park City" and not by a more complete or formal name. 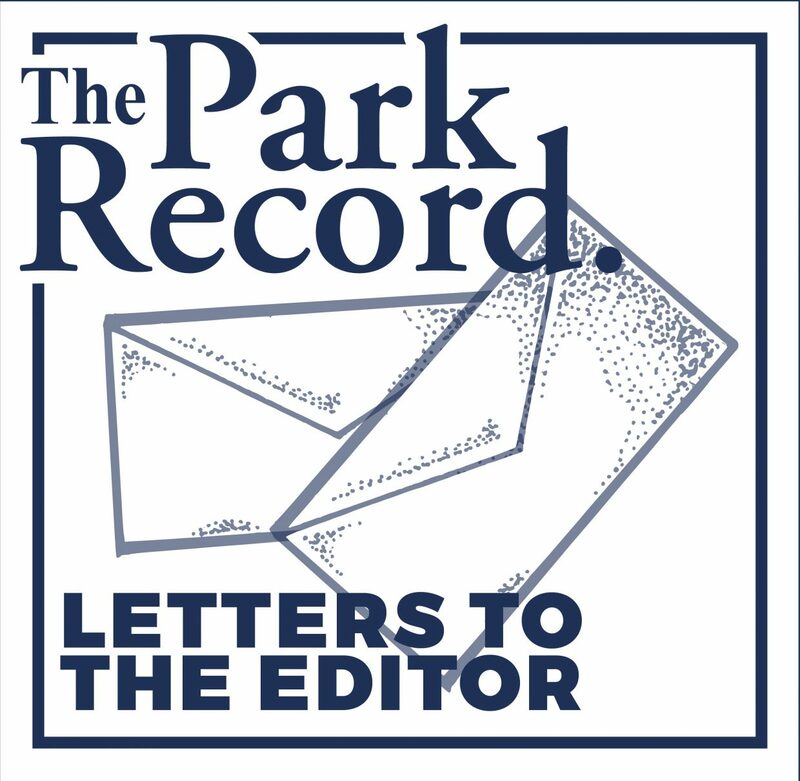 City government has become known as "Park City Municipal" to differentiate it from the ski area. I wonder why nobody ever called Canyons "Snyderville Resort?" Vail has invested half a billion here, and it seems reasonable to protect their brand. If I open a ski shop in my barn and call it "Park City Ski Rental," and offer terrible service since I know nothing about the business, and am not physically in Park City, it has some potential to confuse the public and diminish their brand if my dissatisfied customers thought they were dealing with the Vail-owned resort. It’s not all that unusual. There are both towns and ski resorts named Alta, Brian Head, Sun Valley, Aspen, Vail, and Breckenridge, to name a few. If somebody has an established business using "Park City" in the name, and they are even remotely related to the ski resort business, I understand the concern. While they should be protected by prior use, a mom and pop business could easily go broke defending that right against a huge corporation. That concern is legitimate, and it’s kind of hard to think of a business Vail isn’t in. OK, maybe not orthodontics. Yet. The other side of it, though, is that there is a "Park City" brand that is bigger than the resort. It includes the resort, but also Deer Valley, our trail system, schools, 200 or so non-profits doing great things, hundreds of ill-mannered off-leash dogs, and all the other quirkiness that makes Park City unique. 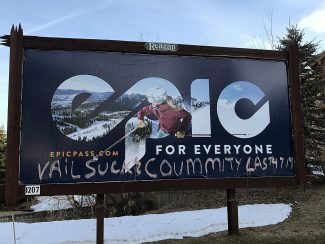 So while Vail has every right to protect its brand against another business operating under a confusingly similar name, the greater community of Park City has exactly the same expectation.